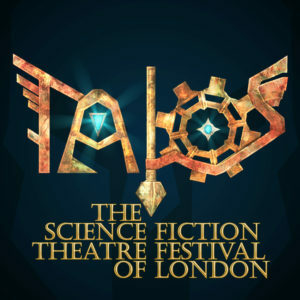 The Bread and Roses Theatre hosts ‘Talos II’, the second year of the UK’s first and only sci-fi theatre festival. Over four days, twelve writers present works encompassing interesting slants on fantasy and science fiction, with the collaboration of young, novice actors (many from The Guildhall School of Acting). It is an innovative project which gives around eighty artists and creatives the opportunity to express themselves, attracting a buzzing audience of family, friends and sci-fi enthusiasts as well as the regular theatre-goers. Opening with ‘RIP’, written and directed by American writer Edward Einhorn, we enter the comic-absurd future where the ‘done thing’ is to buy a property with its own corpse, to remind us of the past. Touching on the Monty Pythonesque, the characters fit competently into their roles, Michael Golab standing out as a convincing ‘Rip’ incorporating a clever shift from old to young. Katherine Laheen’s ‘older Amy’ lacks shape at the end, but it is a somewhat unnecessary tying-up of the story, better left to the imagination. The second piece is written by Christos Callow Jr (the Festival Director) and directed by Sokratis Synitos. A short, humorous sketch which forecasts the evolution between human and robot, played by Bee Scott and Evi Polyviou, it intrigues the audience, holding our attention as we realise how the tables could be turned. It is a well-acted, brief comment on the future of the cyber age. In ‘Paper Doll’, the closing play, Susan Eve Haar explores the subject of cloning; on the surface the break-down of a relationship, it takes an unexpected turn. Molly Rose Barton is strong, confident and moving, but there is an imbalance of intensity between her and Panayiotis Patsias whose performance lacks the necessary conviction, preventing any powerful build-up of tension and emotion. Although Director Katherine Sturt-Scobie makes varied use of the limited space, any action on the floor of the stage is missed from the back of the theatre. The end is artfully punctuated by a projection which emphasises the lack of resourcefulness elsewhere during the evening. All three plays are quite interesting, the costumes are fine and the lighting and sound (Chuma Emembolu) are adequate but there are lapses in the quality of acting which, disappointingly, distracts from the engagement and the enjoyment. Any initiative to promote the arts should be applauded. 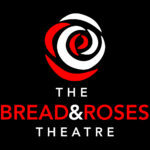 However, a limited budget and less experienced actors and technicians does not mean that the standard is compromised, as is evident from the increasing number of small theatres, including the Bread and Roses, producing an almost limitless choice of first-class productions. Hopefully this is first night nerves and that over time the festival will grow, but for the moment it stands as a showcase rather than a truly theatrical experience.